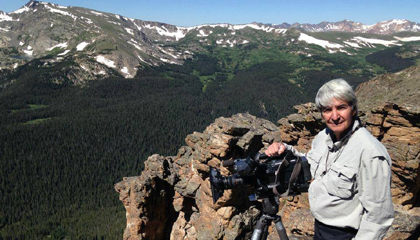 A historical documentary about the origins of Rocky Mountain National Park. From prehistory of the Estes Park area through the forward looking management and use of "Rocky," this PBS historical documentary feature is a must see for National Park and history enthusiasts. Includes interviews with Tommy Caldwell, Curt Bucholtz, Jim Pickering, Dr. Tom Hornbein, Dave Lively, Fran McGraw Grooters, Pieter Hondius, Patricia Yeager Washburn, Jim Thompson, Vaughn Baker, Larry Fredrick, Ben Bobowski, Kyle Patterson, Cynthia Langguth, Mark Magnuson, and Tim Phillips. Film produced and directed by Nick Mollé, Nick Mollé Productions, Estes Park, Colorado.